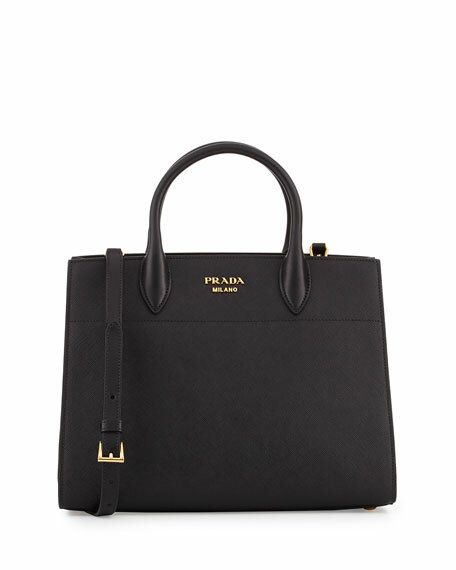 Prada saffiano leather tote bag with smooth leather trim. Rolled top handles, 4" drop. 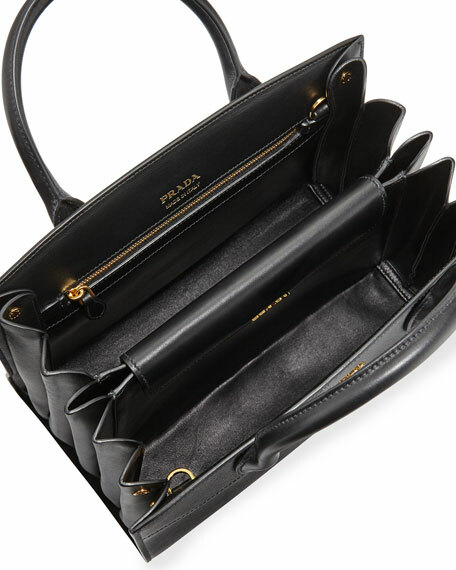 Pleated snap sides expand bag. 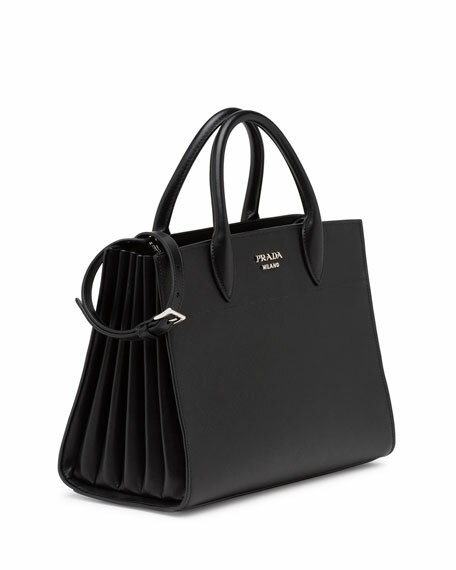 Interior, center flap compartment; one zip and one slip pocket. 9"H x 11.75"W x 6"D.
"Bibliothèque" is made in Italy. For in-store inquiries, use sku #1883071.